“Urbanimals” is the project of interactive visual installations displayed on the empty surfaces across the city. It draws inspiration from the traits of popular animals and implies it into an adequate sport activity. 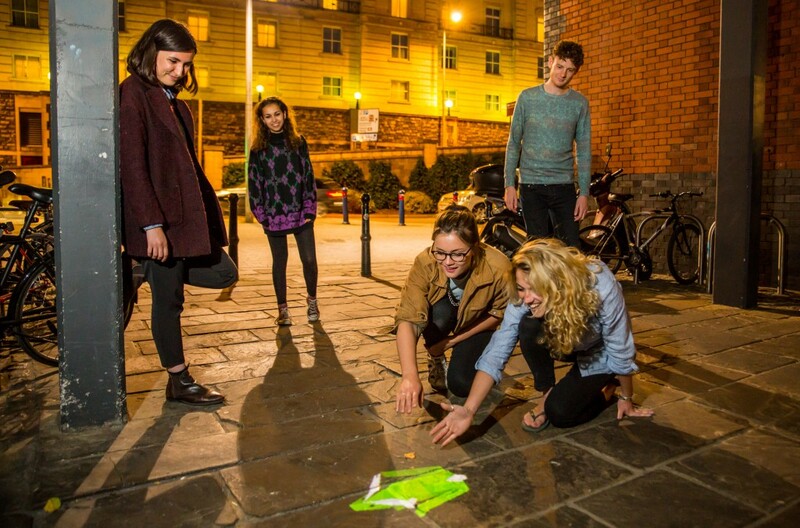 You can meet Urbanimals in every space of transition in your city, and actively participate in their performance. Together with a dolphin, a kangaroo, a rabbit or a beetle you can discover the hidden value of built environment. Urbanimals are there to surprise you in the location you would not expect any adventure to happen, and to lift up your spirit by encouraging to explore and to play. Urbanimals bring live to your daily routine wherever you need. The core of Urbanimals is an experimental interactive environment responsive to human motion, designed by LAX laboratory for architectural experiment (arch. Anna Grajper, arch. Sebastian Dobiesz). It will let you interact with built environment in the way which you have never experienced before. It is a medium to evoke your activeness and creativity, to stimulate your senses, and to foster your body for new experiences. Now is the time for worldwide tour! So if you want to have URBANIMALS in your city, let us know! Urbanimals were hunted down by Bristolians, who discovered the eight animals in all corners of the city. Over 26,000 people have played with Rabbit, Dolphin, Kangaroo and Beetle over the Urbanimals’ 10 week life span between September – November.